Avanti Pro sanding screens are made of superior quality for improved performance extended sanding life and increased productivity. Constructed with silicone carbide, the open weave design prevents clogging and can be used, rinsed and reused to prolong the sanding life of the screen. Ideal for fast material removal on wood floor re-finishing. Diablo's premium sanding triangles include break-through innovations that improve performance, extend sanding life and increase productivity. These sanding sheets are designed for use in Ryobi sanders and are ideal for all types of wood, metal and plastics. 3-1/2 Inch Assorted Grits 6 pc. Red Detail Sander Abrasive Triangles for Wood Detail sanding triangles are for use on wood projects. Applications include multipurpose sanding on hardwoods such as oak and yellow pine or building boards like plywood. Hook-and-loop attachment to the tool. Assorted 60/120/240 grits. Package of six triangles. 3-1/2 Inch Assorted Grits 6 pc. 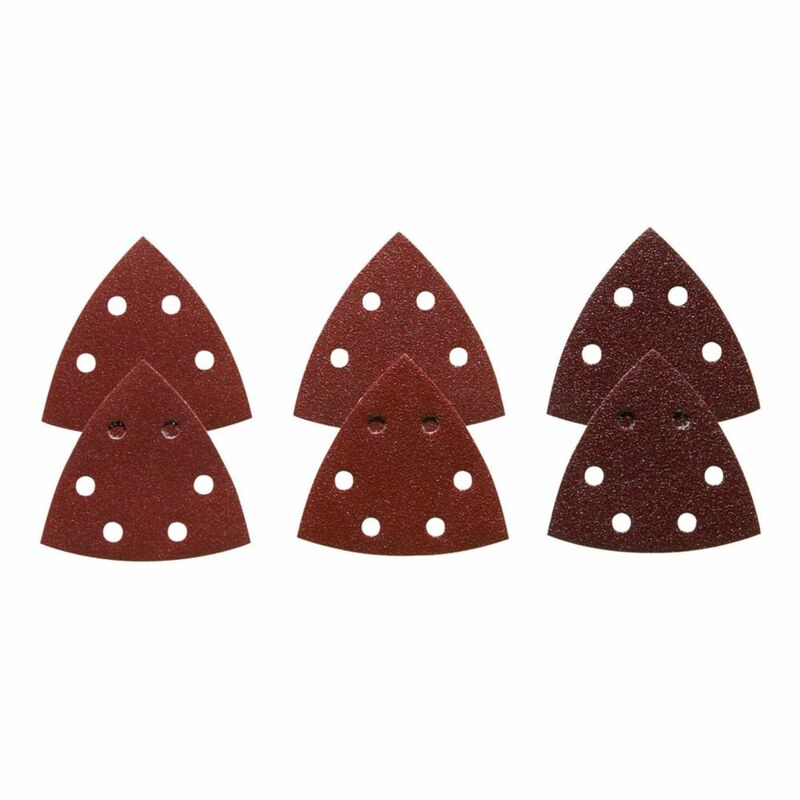 Red Detail Sander Abrasive Triangles for Wood is rated 5.0 out of 5 by 2. Rated 5 out of 5 by morgie from Found the Exact Product I needed These Bosch sanding discs are hard to find and exactly what is needed for someone like me who owns a Bosch multitool. I wish the stores would carry these in stock rather than have them as a special on-line order only. Rated 5 out of 5 by Anonymous from Hard to find Fit my old Bosch detail sander perfectly , getting tougher and tougher to find parts and accessories .